The weekend was a rather frantic one in the face of the new job, and as I struggle to adapt to the new schedule it leaves little time for blogging. So I’m going to try something that I think is best for both of us, my imaginary readership. After a year of semi-reliable posts on the Next Best Plan, I’m going to take a short break. Probably only going to be a couple of weeks, in honesty. My recent tax return means I’ll be able to afford a new computer, which will let me get back to doing this properly. But I’ve gotten sick of song this by halves, and once I’ve my new rig up and running I’ll be able to launch myself headlong into my various projects (including the super secret one) once again. So I’ll see you in a couple of weeks, folks. I promise I’ll make as big a splash as I can so you know I’m back. 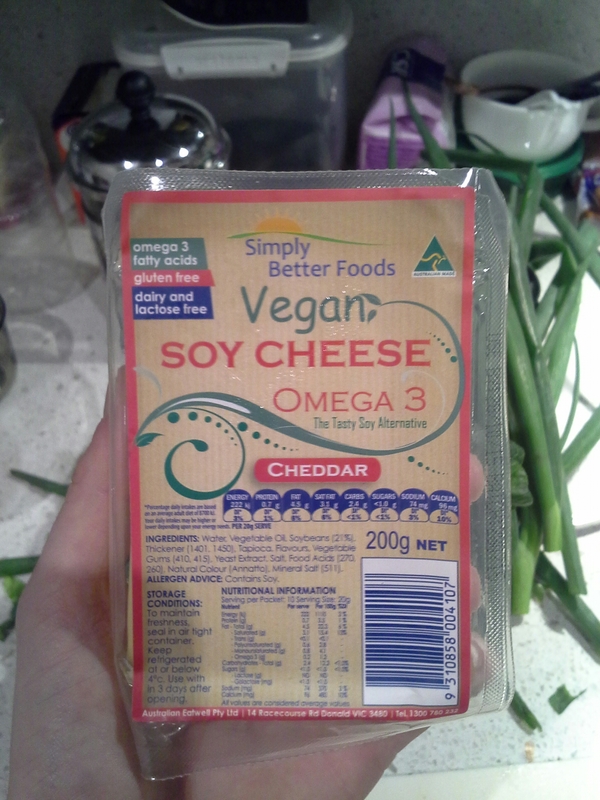 On the plus side, I have found some vegan cheese. Now, my regular readers will know of my obsession with soy goods, and our glorious vegan blogger-pal Shonalika has on occasion lamented decent vegan cheese. So on this, at least, I must report back. You will be hearing from me again soon enough, WordPress.